Having a girl's night in can be a great way to relax and unwind with your closest friends. If it's your turn to host the event at your home, you may want to add some excitement by picking a theme for the night. With summer right around the corner, it may be a fun idea to have a Mexican-themed party – with nachos, make-your-own tacos and margaritas for everyone. You could also host a fancy ladies-only dinner party, telling your friends to come over dressed to the nines. For a fun south-of-the-border party, start by picking up some fabulous food. You'll need taco shells, cheese, tomatoes, hot sauce, ground beef or chicken and even ingredients to make guacamole dip if you want to get really spicy! Next, grab the necessities for margaritas – don't forget the salt. A great and easy way to spruce up the decorations for the event is to purchase some delivered flowers to place on the dining room table and in the living room. 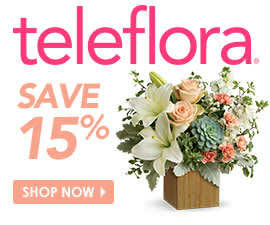 A collection like How Sweet It Is by Teleflora may be a perfect option. This arrangement of orange roses, pink matsumoto asters and red carnations are paired with pops of bright greenery that will add instant flair to your get together.